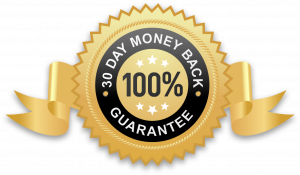 We guarantee that your Follow the Action® products will be everything you expect them to be and more or YOUR MONEY BACK! Follow the Action® Product Lines will refund 100% of your purchase price (less shipping costs) for any reason within the first 30 days from the date you receive your original order. This refund will be processed within 15 days from the time we receive your returned product. Return costs are the responsibility of the customer. We regret that we cannot accept ‘bill recipient’ packages. We accept all forms of payment including MasterCard, Visa, Discover, American Express, Amazon Pay, Apple Pay, PayPal, and Follow the Action® Digital Gift Cards. We feature top SSL secured checkout for your safety and privacy. If for any reason you are not totally satisfied with our product, we will accept all returns for reimbursement of the product price. Should we send you the wrong product or size, we will pay for all return shipping costs. All returns must be made within thirty days of purchase date and returned in like-new, unworn condition. We will ship your product as it becomes available. Usually, products ship within one business day. However, there may be times when the product you have ordered is out-of-stock which will delay fulfilling your order. We will keep you informed of any products that you have ordered that are out-of-stock and unavailable for immediate shipment. You may cancel your order at any time prior to shipping. Most orders will ship within one business day provided that product is in stock. 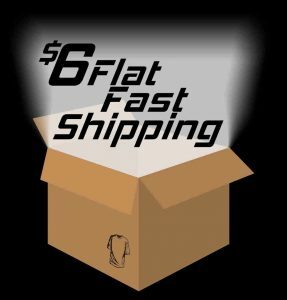 For the Continental United States, we have a $6.00 flat rate shipping. We also offer other shipping options with USPS and FedEx. For Alaska, Hawaii, and Canada, we offer USPS and FedEx shipping options. Typically, standard shipping within the Continental US is two to four days. We cannot guarantee when an order will arrive once it is in the hands of USPS or FedEx. To keep our unique designs lasting long, wash the t-shirts inside out in cold water. This will help the high quality screen printing to last for years. Any shipments within Illinois will be taxed at the current tax rate. All orders shipped outside of Illinois will not be charged taxes. Unless otherwise specified, all materials appearing on this site; including text, site design, logos, graphics, icons, and images, as well as the selection, assembly and arrangement thereof, are the sole property of Follow the Action®, Copyright ©, ALL RIGHTS RESERVED. You may use the content of this site only for the purpose of shopping in this store or placing an order and for no other purpose. No materials from this site may be copied, reproduced, modified, republished, uploaded, posted, transmitted or distributed in any form or by any means without our prior written permission. All rights not expressly granted herein are reserved. Any unauthorized use of the materials appearing on this site may violate copyright, trademark and other applicable laws and could result in criminal or civil penalties. Copyright ©. Follow the Action® is a registered trademark of RMKT Concepts, LLC. 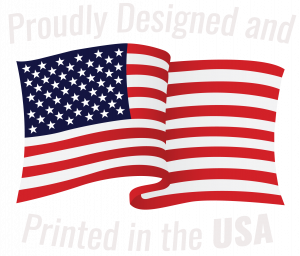 Produced by McGrath Printing | Custom Apparel, Inc. Crystal Lake, IL 60014. Are Follow the Action Products Available in Stores? This site may contain links to other sites on the Internet that are owned and operated by third parties. You acknowledge that Follow the Action® is not responsible for the operation of, or content located on or throughout any such site. We keep your personal information private and secure. When you make a purchase from Follow the Action®, you provide your name, email address, and address. We use this information to process your order(s), to keep you updated on your purchases, and to personalize your shopping experience. All credit card and payment information is handled by Stripe or PayPal secure payments and never provided to Follow the Action for your privacy and security. No credit card information is ever stored or provided to Follow the Action® Product Lines. To keep you informed about our latest offers, we may notify you of current promotions, specials and new additions to this store. You may unsubscribe from our newsletters by following the unsubscribe instructions in any email you receive from us, or by email at info@followtheaction.com. We never sell nor provide any information collected to any other entities. We use "cookies" to keep track of your current shopping session to personalize your experience and so that you may retrieve your shopping cart at any time. Your receipt of an electronic or other form of order confirmation does not signify our acceptance of your order, nor does it constitute confirmation of our offer to sell. Follow the Action® reserves the right at any time after receipt of your order to accept or decline your order for any reason or to supply less than the quantity you ordered of any item. These conditions will supersede any terms and/or conditions you include with any purchase order, regardless of whether this store signs them or not. Follow the Action® reserves the right to make changes to this site and these conditions at any time. This online store is powered by Wordpress/Woocommerce. The Woocommerce solution provides the means to power this site but is in no way responsible for the activities/content found within. All content found on this site; including products, web copy, promotions, etc., is the sole property of Follow the Action® and has no direct ties to Wordpress/Woocommerce as a company. If you have any questions about what appears inside this store, please contact us directly from our contact us page.